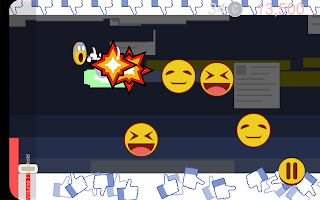 Emoji Scream, first ever "scream-em up"
Our newest game is called "Emoji Scream" and it's a side-scrolling shooting game in which you control a screaming emoji. The twist is, when you scream in real life, you make the in-game emoji do the screaming. The looks like "sound waves" which fire to the right, destroying in-coming emoji-fied enemies. While there are some programs with voice activation, this is the first game I know of which is *exclusively* and entirely controlled through sound. 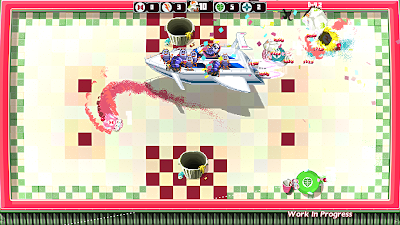 Even the main menu system can be controlled by sound, if you hold a loud note, it activates the core buttons to play the game. And there is no other way in which to control the gameplay, other than through sound. 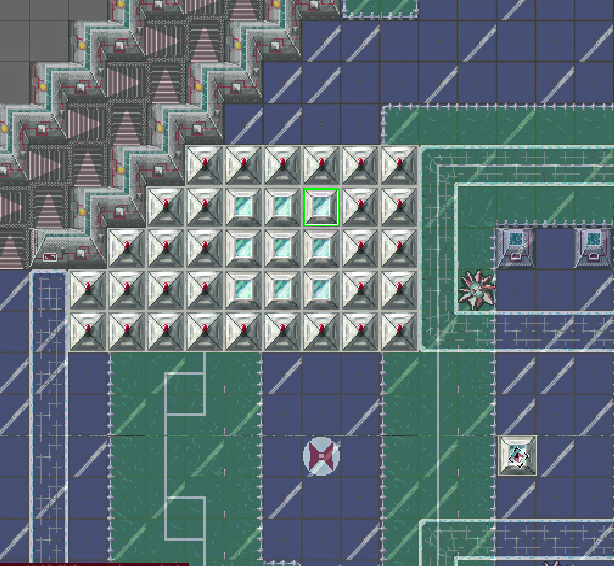 The game itself controls like this. Your smiley emoji player moves up and down the screen automatically as enemies move towards you. 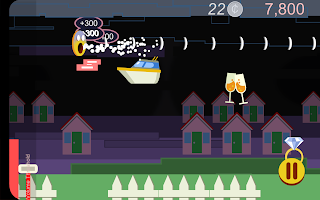 If you scream, laugh, talk, sing, clap, or otherwise make some loud sounds, it causes the emoji to scream in the game. But it also makes your emoji stop moving up and down. 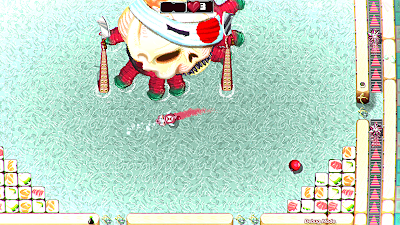 In this manner you can shoot, but also control your player's movements.You'll need to use this "hold" move to get past environmental objects that can't be destroyed, but will kill you if you crash into them. The scoring system actually rewards "thoughtful screaming". As long as you are not making sound above the volume threshold, your player builds up to 3 times, a score multiplier of sorts. 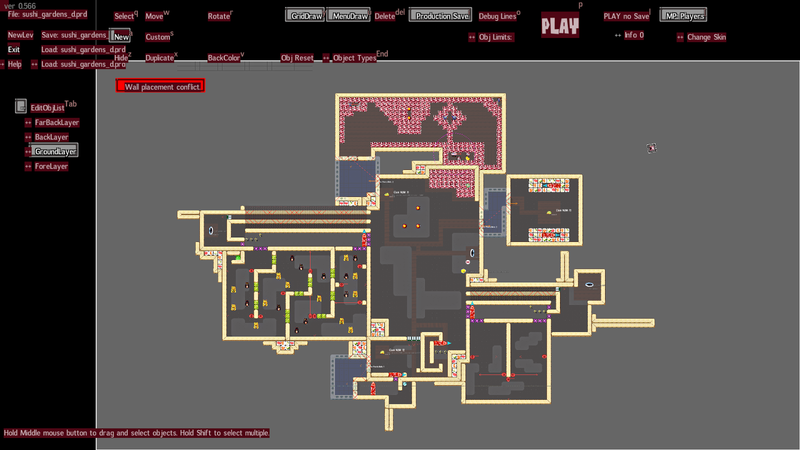 On the left side of the player, three colored outlines will appear. 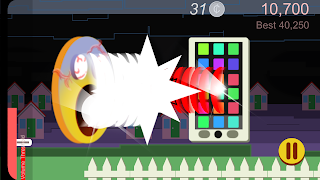 If you then scream to shoot, the next bullet will have the 1+, 2+, 3+ score addition. If you hit an enemy with this special shot, you'll then get 1, 2, or 3 extra coins that bounce out of the enemy. Killing enemies, but also grabbing coins is how you increase your score. Holding back and strategically shooting is the key to a high score in Emoji Scream. 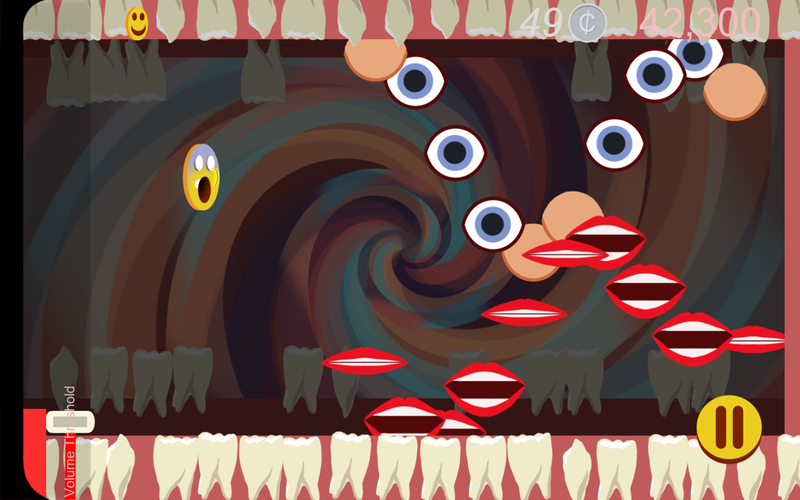 Each level culminates in a giant boss fight called a "scream duel". 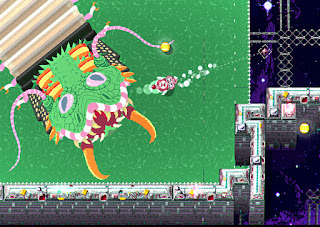 Here, the player can no longer move, but based on when they decide to scream, they will have a bigger or smaller mega-shot to use against the huge boss. And some bosses require you to stop/start screaming again, depending on their defenses. Emoji Scream has three unlockable difficulty settings, 5 distinct levels, detailed, in-game statistics about your playthrough, and an animated ending. After each level it records your progress and let' you pick up from that level to continue. Pick it up today for free on mobile! Pig Eat Ball announcement trailer! Oh wow, I started working on Pig Eat Ball back in January 2013... it's 3.5 years later and I *finally* feel ready to "reveal" it. Sure I've been talking about it here and there.. I can't imagine keeping a secret that long, something that I've been working on full-time..but now finally I think the game looks cool enough to really start talking about. With the end in site, I feel good saying we'll be able to release the game for Steam in 2017. Enjoy the trailer! More info to come soon. 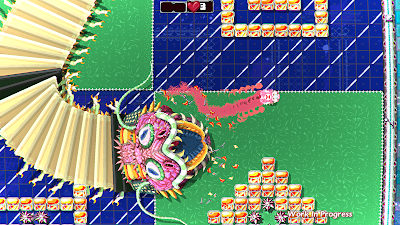 Pig Eat Ball is a tough game to describe succinctly. I've reworked the tagline about "getting fat and barfing" many times, but I've also been working on just what category the game falls into. Recently I've changed the genre-blend description of Pig Eat Ball to "Arcade-Adventure" which I've not seen used before. 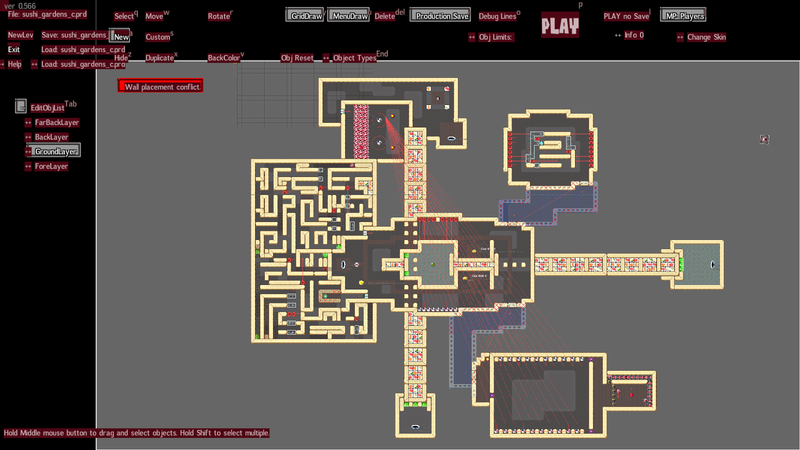 Here is a particularly maze-heavy level with butane torches turning on/off in a maze of screens. We've been working on the genre description since the beginning. The problem is when you're dealing with a new, strange blend of games, what can you say to link it to the fun things people have already played? Originally, we first started with "Puzzlish Adventure", a new game description. We worked hard on the word "Puzzlish" to convey to people that the game is "light puzzle solving with action" but I don't feel like, based on reactions I've heard, that this was effective. Intricate, busy, chaotic levels which are a blast to conquer, are the hallmark of Pig Eat Ball levels. Then we switched to "Action Adventure", which is a very common genre name. But Action Adventure conjures up too much fantasy hack and slash and Zelda-style games and we don't want people thinking that. Metroid is an Action-Adventure, but it has the platforming sub-genre to help distinguish it. 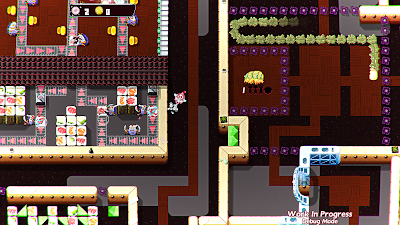 Pig Eat Ball is a top-down action game, that has hundreds of quick-to-play levels, but is also tied together with giant overworld areas to explore, NPCs to interact with, and mini-quests to embark upon. 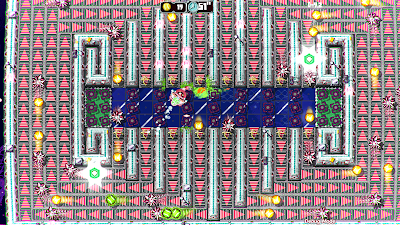 Another great arcade-style level, in which you're trapped, frantically dodging spike balls as they fall while eating yummies. Looking at this list, we tried to find the two closest, large categories that would fit. We came up with "Arcade-Adventure". This name is working pretty well on all accounts. It's meant to make you think of an arcade experience, but with the longer play time and exploration of an Adventure game. Combined with the pixel art and the short level play-times I think the Arcade prefix fits the best. The game also has some "arcade homage" levels that we'll be revealing down the road that will help bridge the game between the 8-10 hour gameplay time and the arcade feel. 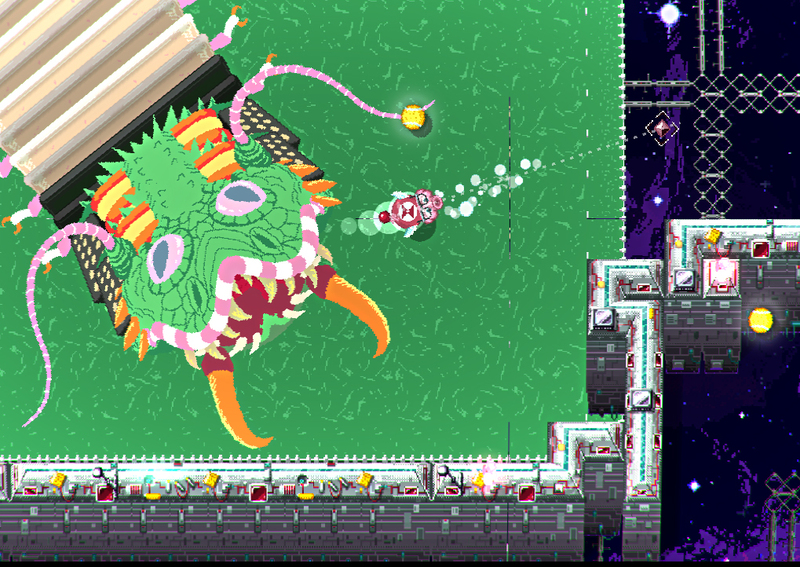 Bosses are large, and it's lots of fun to figure out how to defeat them! What do you think? Would any recent games you can think of fit a genre called "Arcade-Adventure"? Sound off in the comments, thanks! I'd like to introduce you to our upcoming game. Pig Eat Ball is a science-fiction game set in a finite, carefully-designed galaxy. Every object in the game was placed by our team, intentionally, with purpose. Every pixel, every sound effect, every gameplay mechanic was made with the sole intention of making the best action-adventure game about barfing ever dreamed. Whether a distant ball or a pillbug playing tennis on the horizon, you can barf on it. Barf on balls. Barf on walls. Barf on pillbugs. Barf on floors. The galaxy is yours to soil. Eat dozens of balls. Grow fat. Barf your guts out. Slurp it back up. Dodge sizzling frying pans. Race space pigs to make sandwiches. Battle Accordion Centipedes. Break toilets. Get pillbugs drunk. With every level, in every space station, you are vulnerable. Vulnerable to losing your future. 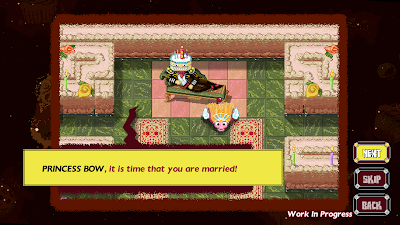 You must win the Royal Games or your crack-pot, cake-headed father will force you into marriage. But you can choose. You can choose to barf your way to freedom. 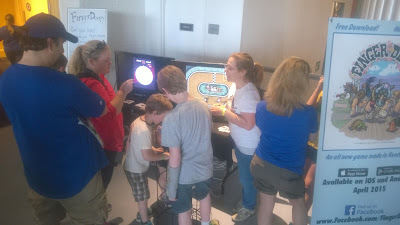 Pig Eat Ball is being developed by Mommy's Best Games, a tiny indie studio in Indiana, USA. We previously made Shoot 1UP and Serious Sam DD XXL, but now we're casting our eyes to the toilet. Pig Eat Ball is coming in 2017. Follow us on Twitter, and on the game's Official Facebook page. Get ready to pig out. 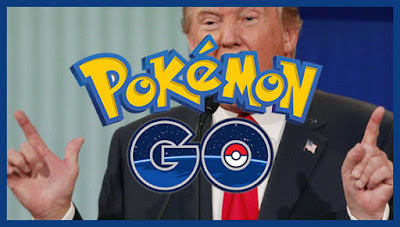 Is Pokemon GO the Donald Trump of Games? Yes, Pokemon GO is great, we play it with the kids and they love it. It's interesting that any "how to" guides on game development and PR are pretty much defied by this game or could be by any really high profile product. It did so many things wrong at launch and it just didn't matter. 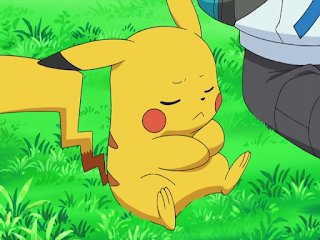 It had a terrible launch with servers down constantly, activation emails not returned from the Pokemon Trainer site over the course of a week, a fuzzy launch date with relatively little awareness built for such a big brand, no tutorial in the game, the software hangs frequently, and there are bugs everywhere (and not the kind of bugs you're supposed to catch). There are so many problems most small indie devs work hard to eliminate, but here were ignored by players or happening in full sight. I've been working on our current game, Pig Eat Ball, for over 3 years, and for instance, I just spent 2 weeks further polishing the menu transitions and fixing tiny bugs in the music player. These details matter for an indie dev's games and reputation, but what about for the launch with a giant brand? What does this tell us? These things don't matter? Or is it simply the strength of a brand? Or that if you get your core idea correct (catch Pokemon in 'real life'), it's all fine? I don't know. The dev in me is bitter and angry that the "normal rules don't apply here", but it's hard to deny all the positive outcomes of the game even in its current, half-complete state. Regardless, whatever you do, don't use the Pokemon GO launch as a model of how to release your own game, because it simply doesn't apply. We're getting ready for E3! Yes, I'll be taking Pig Eat Ball to E3 to show the game off to publishers and platform holders. Since we'll be demoing the game soon at E3, recent work has been about "first impressions". 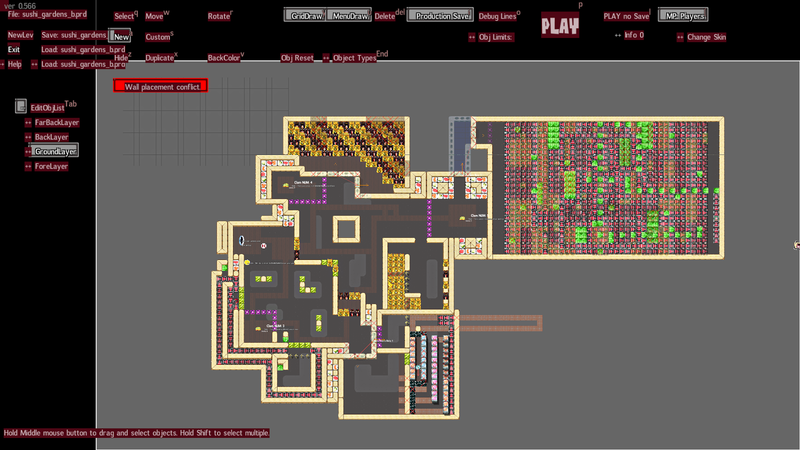 Andrew Curry, our level builder has been working to perfect the first levels of the game, as those first few minutes are the most important with any new players. Talk to the Clam... to see some action! In the game, the player completes sets of action levels. If they complete a set of action levels, they get a Pearl, and this Pearl is used to unlock new areas and eventually complete the story in Adventure mode (think the Stars in Super Mario Galaxy). 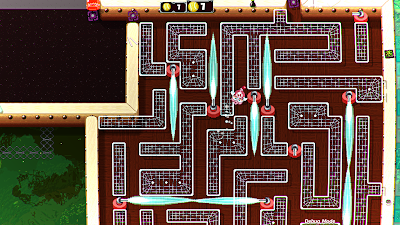 A set of levels is controlled by a Royal Clam. So the first Clam in the game, has three levels. Those three levels have been tricky to perfect! 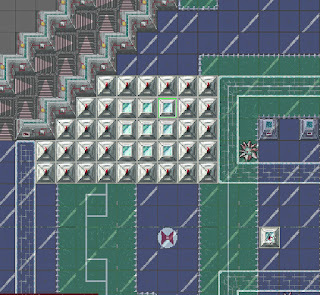 And actually it started out as five levels and then four levels.. but I think now that three levels in a row is the perfect amount of playing time to introduce players. Matthew Barnes, one of our programmers, has been working on some new gameplay elements, including a working shower. Barfies come in ,but leave sparkling clean! John Meister, head of Super Soul Studios, in nearby Lexington Kentucky, has been working on integrating the new controller remapping system. John was previously using the system called "InControl", but has settled on another controller solution called "Rewired" from the Unity Asset store. And I've been working on optimizations. Without giving away too much, let's just say that thousands of chunks of barf can be spewing in the game. And that's interactive barf--not just simple particle effects! 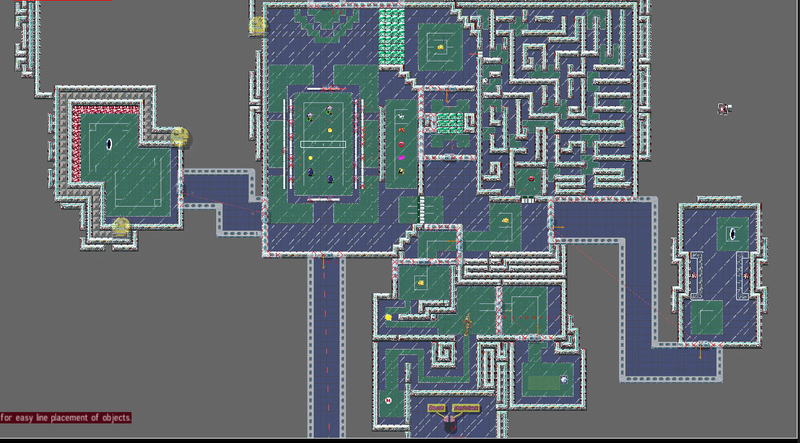 Add to that tons of balls and dozens of pillbug enemies with complicated AI which could be running around as well--with that all happening, on some of our laptops, we noticed the game was starting to get slow. So I've spent the last few weeks, trying to eliminate unnecessary collision calls, and figuring out tricks to avoid comparing so many objects together, or other ways to save processor time. The good news is--things are speeding up! Alright, E3 is June 14-16th, wish me luck! 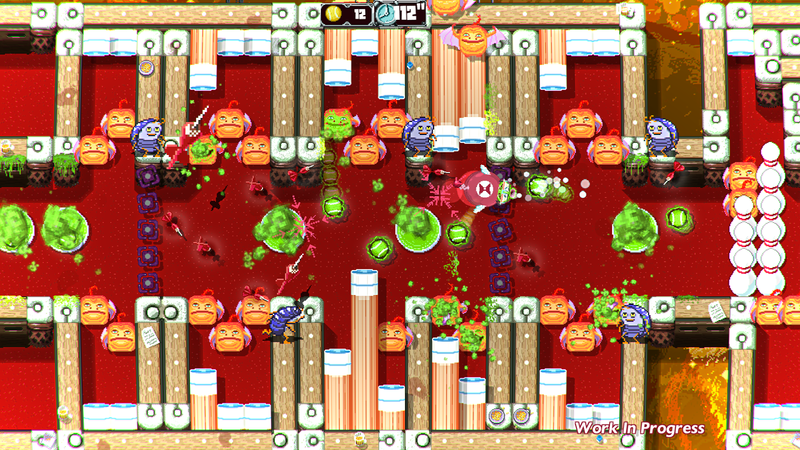 Pig Eat Ball, our upcoming action-puzzle game about getting fat and barfing, is still coming along nicely. Here's what the team has been up to recently. 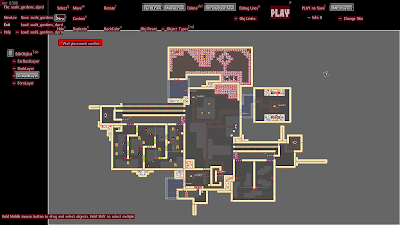 Andrew Curry is the lead level designer and level builder for the game. 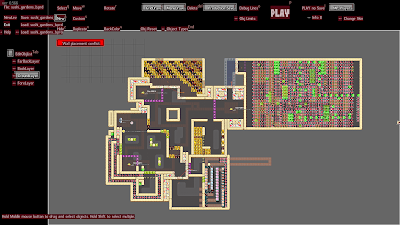 He's been on the project for several years and has designed several hundred levels in the game and there's still more to go! He's been recently working on the giant overworld levels. 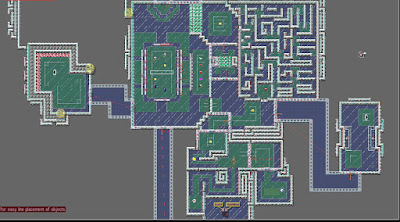 Here's just one sub-area of World 1, the "Outer Courts". Matthew Barnes has been programming on the game with me for several years as well. 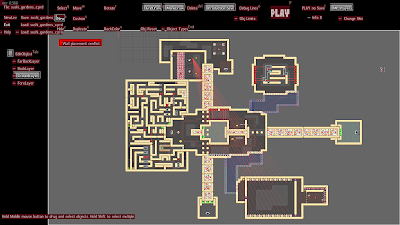 Initially he was coding on the level editor, but is now working on gameplay objects. He's been working on a ceiling-type object that you can drive underneath, and the object fades out so you can see the gameplay below. 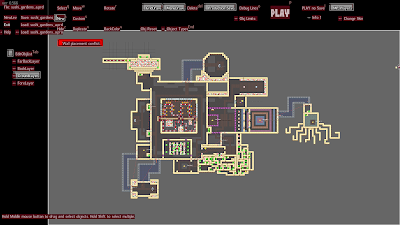 A view of the ceiling tiles from the built-in level editor. Here is Princess Bow, moving underneath the tiles, and you can see the nice fade. Bentley Usher is an intern on the project for this Spring. He's been tasked to do some gameplay code for the various Disguises that your player character can wear. 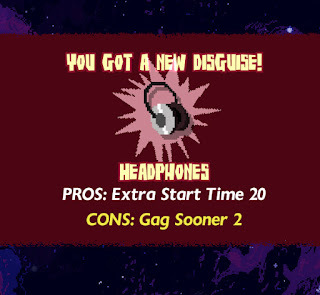 I've done the art, and Bentley is adding the "Pros" and "Cons" code to the Disguises. After you get a new Disguise, you can see what abilities it has. 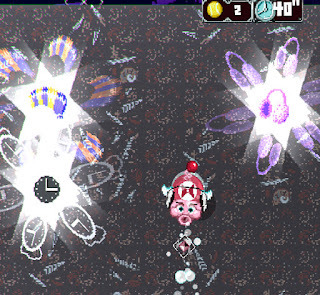 Here's Princess Bow in a test level, with several Disguises in the works. He's pretty scary to play against! 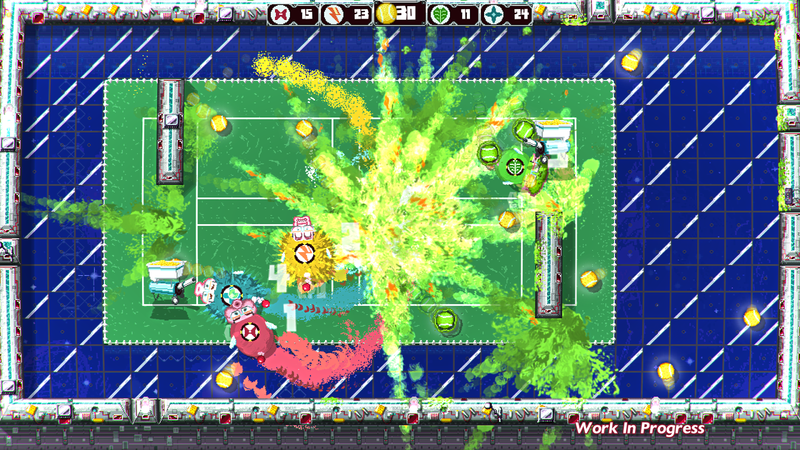 Pig Eat Ball has been Greenlit for sale on Steam. 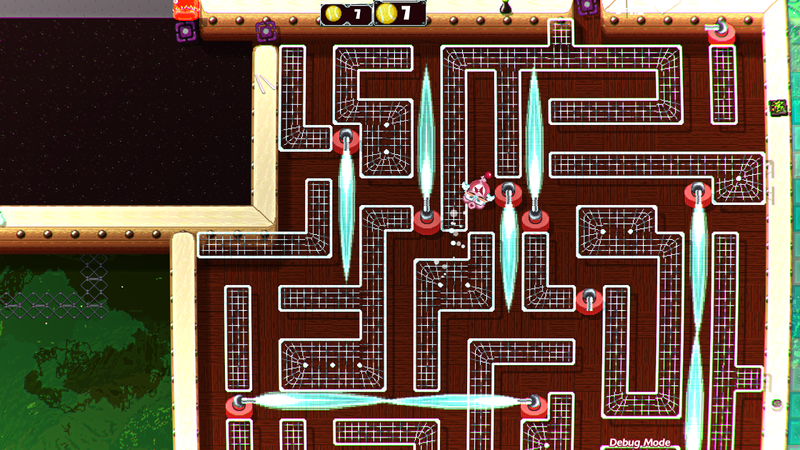 The current plan is to have Pig Eat Ball go into Steam Early Access in a month or two. Or you can pre-order the game at the link below, and get a build to play now. 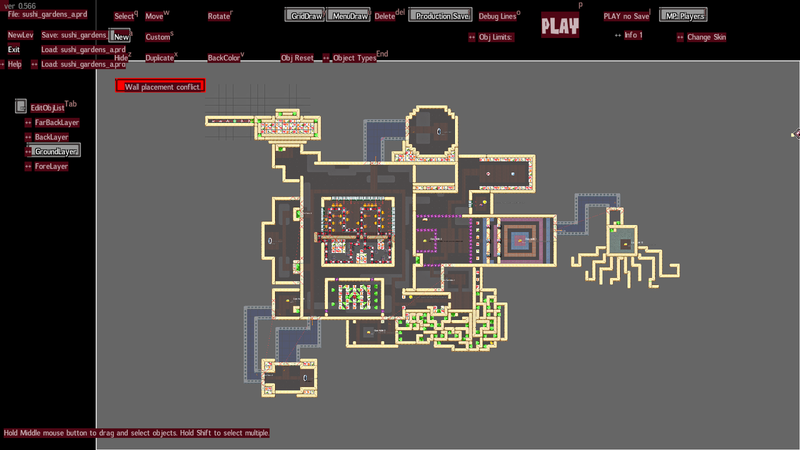 This will let you see our changes even sooner, and actually play it as we build it! We plan to release the final version of the game some time in 2016. Finger Derpy Nominated for IMGA Award! We have fun news! Our mobile horse-racing game, Finger Derpy, has been nominated, in *two* categories, for an International Mobile Game Award! 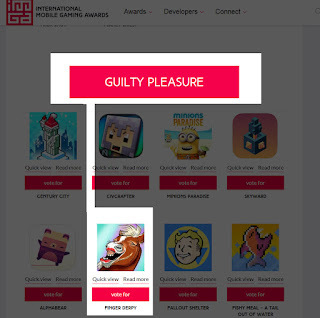 The 12th IMGA competition recently announced the nominations, and your favorite drunken-horse-racing game is up for "Best Multiplayer Game" and "Guilty Pleasure"! 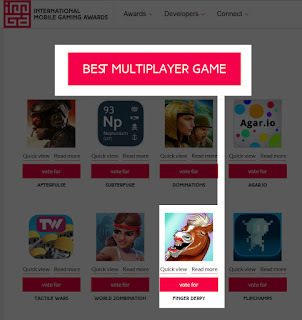 Finger Derpy for Best Multiplayer! Here's the trick: The final awards are determined by a crowd vote! That's where YOU come in. Yes, YOU! Do you like Mommy's Best Games? 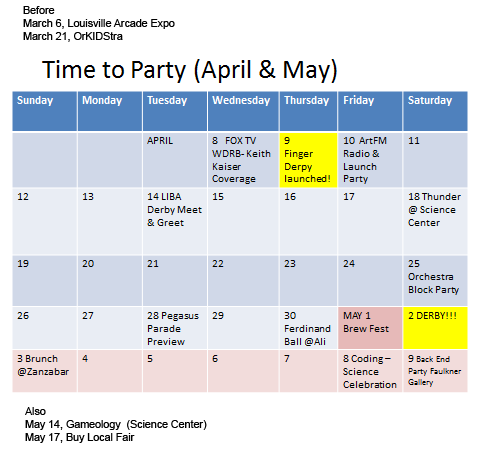 And/Or do you like video game development in Indiana/Kentucky? Then please vote for Finger Derpy! Winning awards helps us with future and current projects. It will help Finger Derpy continue to succeed, which feeds our future games. 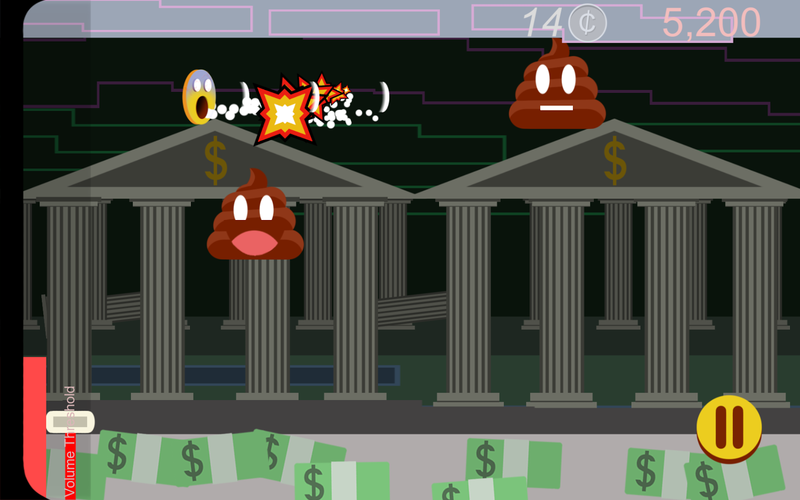 Finger Derpy is a game made in the Louisville area, and it features the city of Louisville! The game is really well received and we love that people enjoy it. 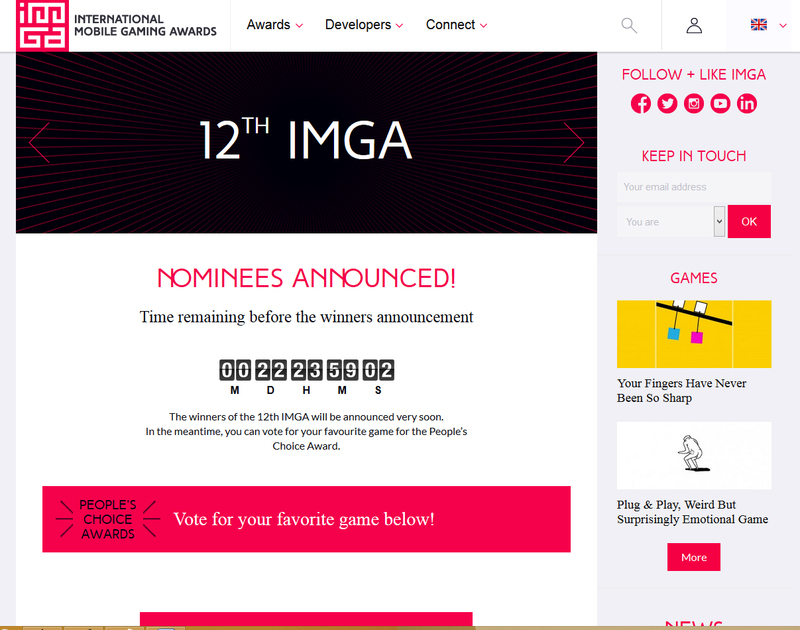 To see it nominated out of thousands of games is certainly exciting. But to have it confirmed with the award would seal the deal. I ask you, I implore you, please take 5 minutes of your time to help our very tiny, indie team win this international game award. It takes a few steps, but that means each vote is even more valuable. You do have to register an account and confirm it and all, but then you can vote with one click. When you register, and it asks you what "You Are" just pick "A fan of IMGA!" 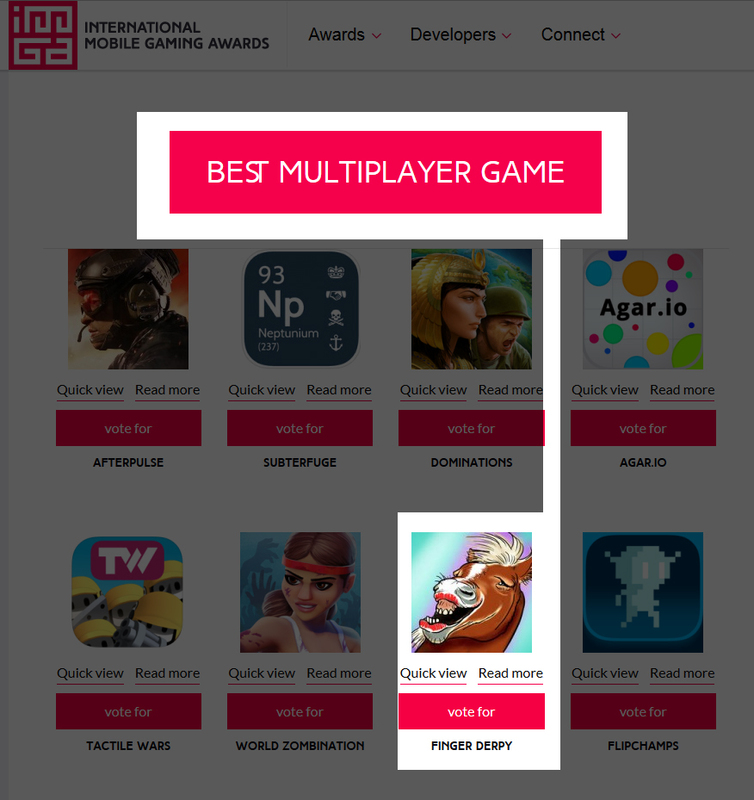 The odd part is you only get to vote for *one game* in any/all categories! So make it count. Please vote for Finger Derpy in the Best Guilty Pleasure category! This is not a situation of "vote early and often". You get one vote, it's very quick once you register, and it really, really helps us. You know that scene in some movie where the wave is so high, it's over the view of the camera, and it's going to crush the heroes? Well the players are the heroes, and that wave is made out of potential entertainment. Games, movies, TV, books. It's practically infinite, and you're trying to make money in the business. Good luck. Yes of course. You do get some flash-moments in front of people's eyes. Here and there, you do get times to catch their eye. Someone's Retweet, Facebook share, Steam's recommendation. It's possible. That is what I'm working on improving for my game (and maybe you are too) so I wrote this for myself. It's a sort of an action-list. Or one-sided argument. So this is mostly for me, but if it helps others, that's groovy. 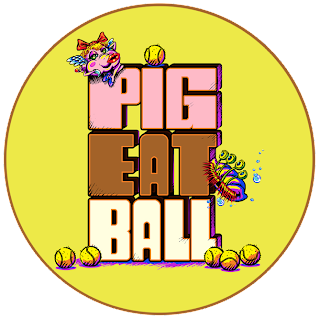 I'm getting Pig Eat Ball ready for Early Access on Steam. It's really scary. I know it needs more work and more polish. I've made other games on Steam. Somehow it seems to get harder rather than easier. Here's what I figure someone should say when seeing my game. 2. I have not done that. 3. I want to do that. Your game has to be instantly recognizable. The same of course goes for movies, children's books, comics, any visual medium. 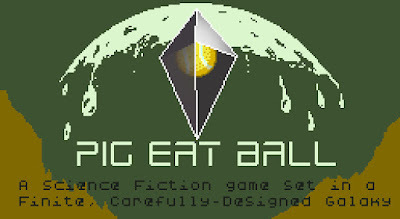 When you see my game, I want you to *know* for certain it is Pig Eat Ball. Not some other pixel-art retro looking game. It's very difficult to find a unique, intriguing style. So far, the best way I've found is to enhance the qualities unique to your game, through gameplay, but also through your art. 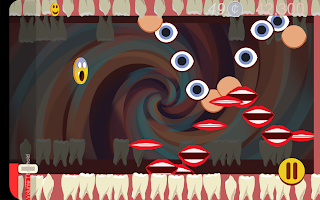 My game has lots of kinda-gross-funny barf. So I continue to find ways to "up the barf". And if you see my game, and don't know the name, I want you to want to find out. You need a look for your game, such that if the viewer does not know the game's name, they'll still remember the look for next time that they see it. And hopefully they'll actually find out the name, and want to learn more. Ask yourself: What is the thing in my game, that when player's see it, they'll know it's my game? Is there something unique? What exactly is it? Can it be improved or enhanced? The current 'barf situation', not perfect, still refining it. 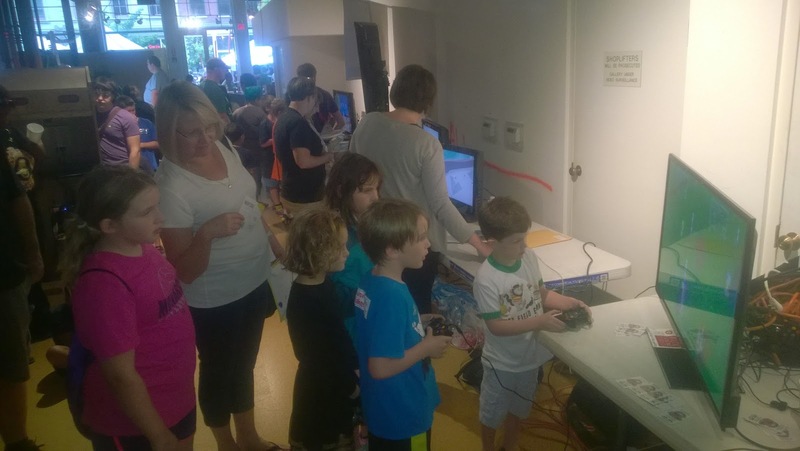 "I want to do that"
When someone sees your game, you want them to say: "I want to do that". It's a very simple goal for your trailer or gif. When they see a movie trailer, they should want to watch more. Games are different--people should want to do, to operate, the very thing they are watching in the trailer. It should get them excited to do the thing you are showing them. If you can't communicate that, you're doomed. At the end of the trailer, does the person know the cool thing to do in your game? Do they want to be in your game world? "I have not done that"
*You* know your game is fun. You are taking for granted that they, the viewer, think it is fun. Meditate on this: The viewer does not think your game is fun. They have no idea. This is the hardest part--the ephemeral part. You have to communicate the fun parts of your game, to a cold person--someone who has no impression of your game. I love running and shooting in games. I love shooting monsters. I love jumping on platforms. But I have played many of these. It's very common for me to see a game, that has these components, but the video has not convinced me that it has something unique to offer. Is the game hiding something cool? Perhaps. But I will never know. If the game 'spoiled' a cool looking thing in the trailer, I may have gone for it, and played the game. But as it stands, I will never play that game. Maybe if it didn't hold back, and showed me the cool thing, I would be more interested. Whenever I watch any game trailer, I assume the game only spoiled 75% of the cool parts in the trailer. If you showed me 3 really cool things, and I want to experience those 3 cool things, then I'll hope for one more hidden cool thing. If you show me only 1 thing that is half-way cool, I now assume you have one other thing that is only-sorta-barely cool that you are hiding. So if you spend your trailer only showing me something sorta-cool, but you are in fact hiding 3 amazing things from my view--I'll never know (or not for a very long time), because I've passed on your game. No one wants the final cool thing to be spoiled in the trailer. Why? Well, obviously the surprise of the final boss/area/thing is ruined. 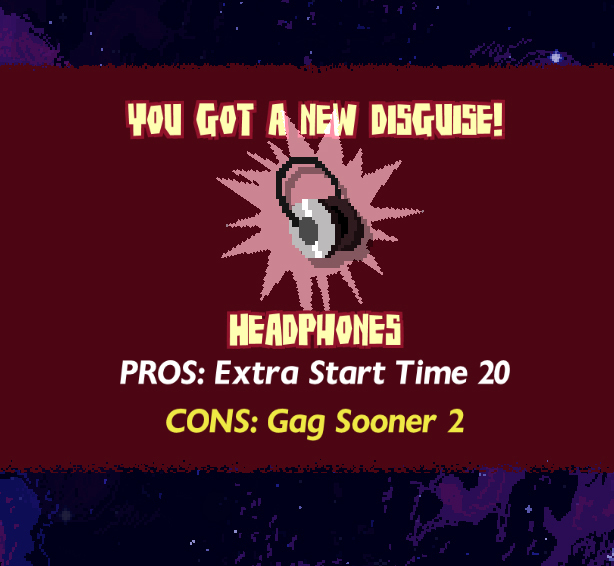 But I think the real sadness would be, that it would mean your game doesn't have enough to show me--that instead only the final conflict--the thing most people will never get to it, had to be used in the trailer, in order to build up enough cool things to show me a single minute worth of your game. That would be sad. But you may say, "but what if they only think there is barf (or whatever) in your game?" Well, now you have a good problem. The problem is, you have their attention, and you have to find "the rest" to tell them more. That's okay, you'll find more. But the first part is, getting their attention. This is about making sure, they even know about your game *at all*. Focus on that right now. We can't find out what's wrong or what went well if we don't take time to see what we've done! With that, let's look at what Mommy's Best Games did in 2015! 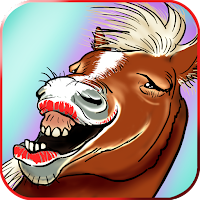 We released a new game this year, Finger Derpy. We also re-released 4 of our classic games, as enhanced ports to Steam, and called it the "Mommy's Best Action Pack". Pig Eat Ball is the main project, but after talking to Nintendo and Sony and wanting to have the game on those platforms, it's clear we can't do it as it stands. The game is written in Java and simply won't run on consoles. I talk to John Meister from nearby game group Super Soul and we start working together. His team starts to port the game to Unity. This will allow us to more easily choose what Pig Eat Ball is available on. In the meantime I start heavily working on Finger Derpy. Matthew and Andrew continue work on Pig Eat Ball core content. This means Matthew is writing code for new gameplay objects, and Andrew is designing and building new levels. I focus on Finger Derpy and getting deals with local businesses to support the game. Here in the presskit, you can read more about our integration with Louisville landmarks. More of the same, development wise. 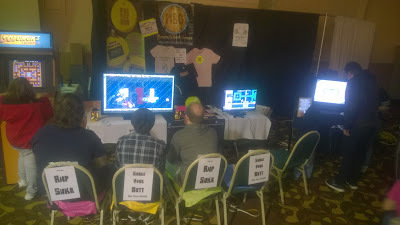 Plus we show our games at the Louisville Arcade Expo! Released Finger Derpy! First to iOS on the 9th, then to Google Play on the 19th. We held our big "Chomp the BIT" launch party that Friday. We organized the event in which 25 local developers showed off their games at an arcade bar in town. Apple featured the game in the App Store as a 'Best New Game' which was a big deal and really helped downloads. Also youtuber 'Cuqquake' featured the game, got plenty of views, and we've gotten a decent number of user reviews saying they saw the game on her channel. 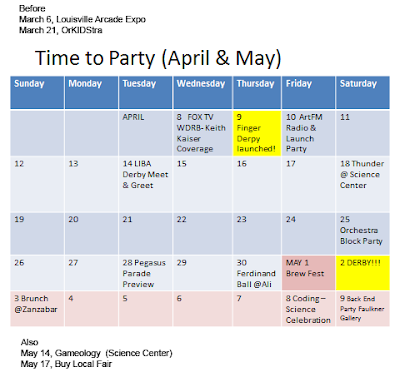 During April and May we showed Finger Derpy at 10 local shows (in 5 weeks). It was exhausting. Between all of them, the Pegasus Preview Parade and the Thunderblast were beneficial in terms of download numbers. I think this was a matter of 'correct engagement' with large crowds that actually were interested in games. Some of the events we showed the game at just had lots of drunken people. There was high traffic, but low interest/engagement/memory retention. Just because there's lots of people at an event doesn't mean you should show your game there. Started porting the Mommy's Best Action Pack to Steam. This involved changing the games Weapon of Choice, Shoot 1UP, Explosionade, and Game Type, and making them great Steam ports. These games were all originally released between 2008 and 2011. They were made in XNA. This involved adding lots of extra, though small features, which takes time. Some of the games did get new content as well, such as the collectible MBG pies in Weapon of Choice. Scott Slucher from the U of L area started as a coop student working on the port. MBG Action Pack porting by Scott and myself. I also help Andrew and Matthew continue on PEB. We try to limit too much extra additions because John has to constantly port things from the old Java to the new, half-working Unity build. Much of the same as July. Shipped the Mommy's Best Action Pack on September 23rd! 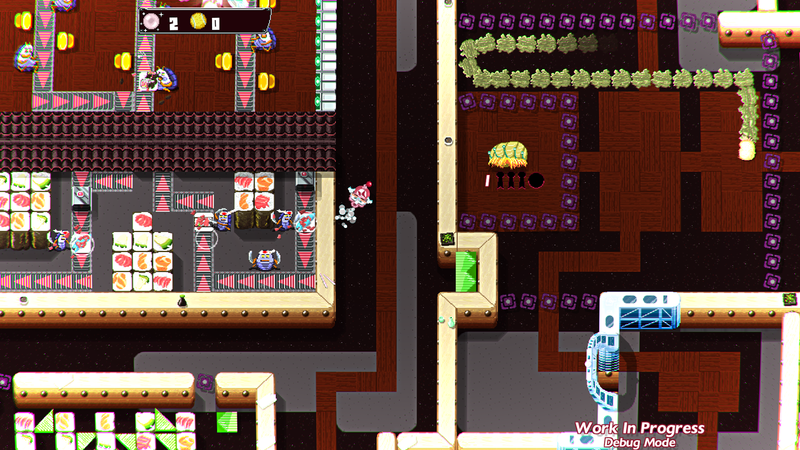 For Pig Eat Ball, we're continuing to wait on the Unity build to be finished and usable on our side. Until we can write new code in the actual Unity build and until I can give Andrew the level editor that way, we have to continue with the Java build, which is tough having two versions being developed. Got featured again by Cupquake, definitely helped our player numbers. 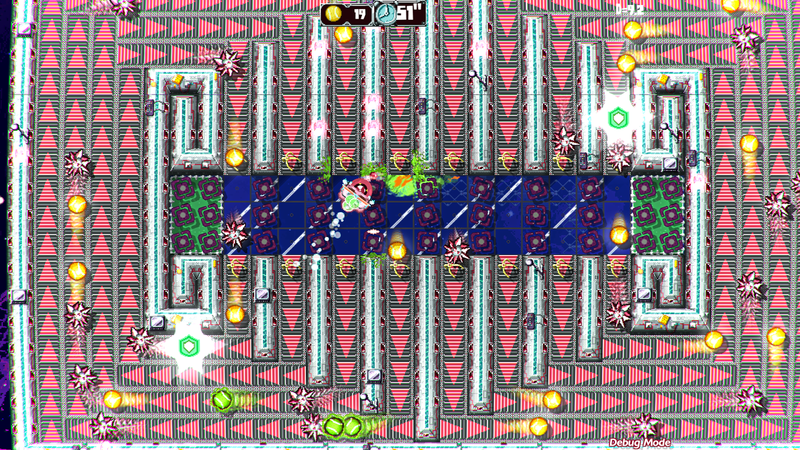 Working on Pig Eat Ball gameplay in Java, as the Unity build continues. Steam Autumn sale for MBG Action Pack. Unfortunately no big youtubers covered it, but the numbers were up through Christmas. Working on Pig Eat Ball gameplay as the Unity build continues. 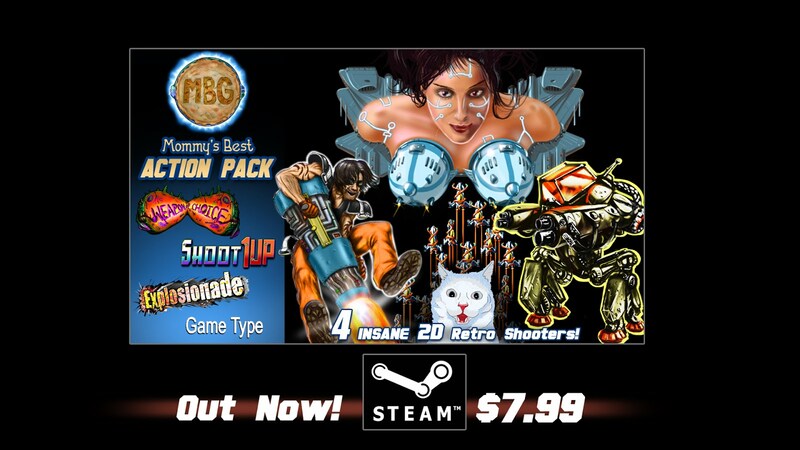 Steam Holiday sale for MBG Action Pack. This was our most prolific game year, if you look at straight 'games shipped'--we ported 4 games and released 1 new game. So 5 games were released in this year. But this was our worst year financially. Serious Sam Double D XXL continues to sell well and supports us, but it's sales are slowly declining. In years past we were releasing one big game every two years. 2011 was Serious Sam DD to Steam, and 2013 was Serious Sam DD XXL to XBLA and then back to Steam (with lots more content). 2015 should have been Pig Eat Ball, in theory, but it's simply not finished. So instead, we released a free-to-play game, with ad-supported revenue and In-App Purchases, but while it made some money, it has still not covered it's development costs. Then we also released 4 ports of our older games, but they did not sell as well as hoped. 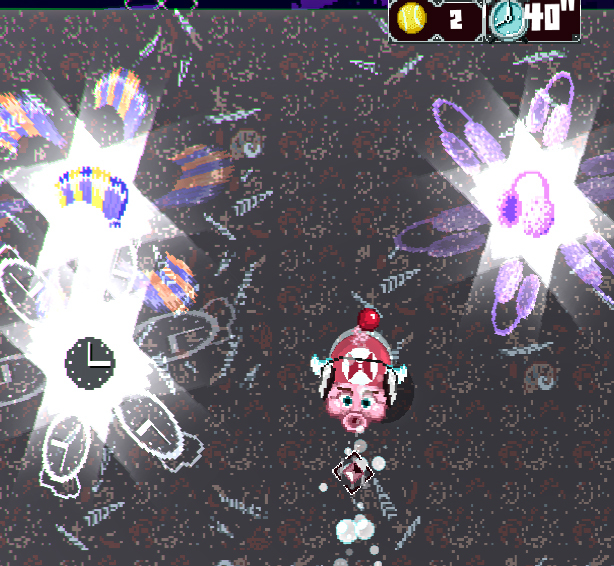 The good news for January is Super Soul finished the Unity port and the game works great! We're working on the game now in Unity and things are moving swiftly. This is the year for Pig Eat Ball. Let's make it great, and get it out the door!